Spray four compartments of a muffin tray with spray oil, cut the pasty into quarters (or to size) and gently press the pastry into the muffin tin. Place bacon onto a baking tray and cook in the oven for 3 – 4 minutes or until done. Place onto a kitchen towel to drain and cool. 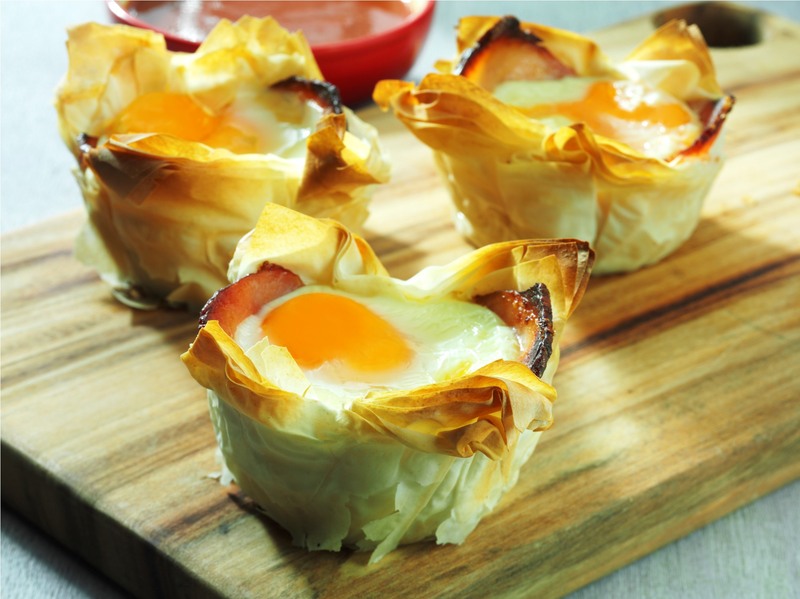 Cut each rasher in half and place one half into the base of the pastry shell. Mix sour cream, parsley and pepper together and spoon over the bacon. Crack egg over the sour cream mixture. Place in the oven and bake for 15 – 20 minutes or until cooked. Remove from oven, carefully remove pastry from tin and serve with cooked spinach.